KUALA LUMPUR, Dec 23 ― Private contractor Beta Tegap Sdn Bhd should sue Putrajaya instead of seeking a judicial review of the Sepang Municipal Council’s (MPS) order to dismantle two speed-trap cameras installed in its area under the controversial Automated Enforcement System (AES), opposition MPs said. Lawmakers from Pakatan Rakyat (PR) pointed out that local government bodies have jurisdiction to approve or reject the installations although the AES is being undertaken by the federal government. “Part of the legal issues that is unsettled, this AES did not get approval from the local government ... when it is installed without the blessing (of local government) ... this is against the existing laws,” PKR vice-president Chua Tian Chang told The Malaysian Insider. “That’s why I say they gone to the wrong place. They can go to central government and claim they were misled by central government that everything has been cleared and that’s why they go and pasang (install). “Now the whole thing has to be dismantled, all the costs incurred, it’s not from us. 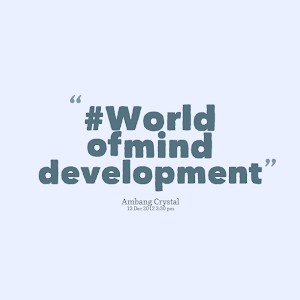 They should ask the one who awarded the contract,” the Batu MP added. PKR treasurer William Leong agreed, saying that Beta Tegap needed to get the local council’s approval first as state roads fall within the state’s jurisdiction. “Yes, because that is PBT area. Everything you need to do, you need the PBT approval... This is PBT’s jurisdiction,” the Selayang MP said, using the acronym for local town councils, which in Bahasa Malaysia stands for Pihak Berkuasa Tempatan. PAS MP Khalid Samad agreed with Leong, saying that only the local council has the power to approve the installation of AES cameras. “Maybe they are confused from the legal viewpoint, maybe (they) think that the installation of AES cameras in those highways is under the jurisdiction of the central government. “Actually all installation plans should be done only with the PBT’s approval, that is MPS. “This Beta Tegap already (took) the wrong procedure and now is blaming others,” the Shah Alam MP said, agreeing that any court action by the company should be against the federal government instead of the local council. When asked to comment on Beta Tegap’s court case against MPS, the DAP’s Liew Chin Tong said that the Transport Ministry should be the rightful authority to take action, if any. “I suggest that Beta Tegap consults the AG’s chamber before going to court. The whole affair is ridiculous. Who is Beta Tegap? It is just a contractor/concessionaires acting on the behalf of the Transport Ministry. It derives its authority from the Transport Ministry. 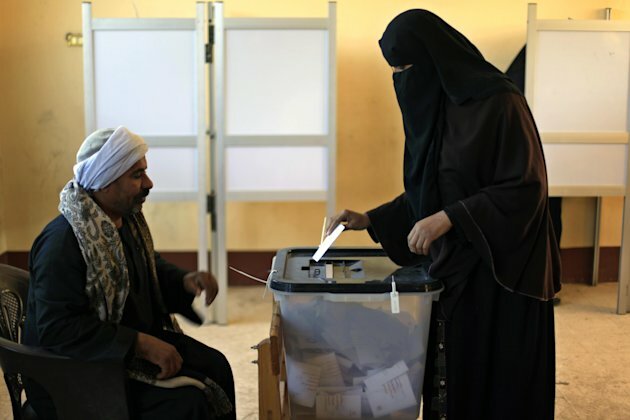 CAIRO — Egypt's Islamist-backed constitution received a "yes" majority in a final round of voting on a referendum that saw a low voter turnout, but the deep divisions it has opened up threaten to fuel continued turmoil. Instead, Morsi disillusioned many non-Islamists who had once backed him and has become more reliant on his core support in theMuslim Brotherhood and other Islamists. Hard-liners in his camp are determined to implement provisions for stricter rule by Islamic law in the charter, which is likely to further fuel divisions. Saturday's voting in 17 of Egypt's 27 provinces was the second and final round of the referendum. Preliminary results released early Sunday by Morsi's Muslim Brotherhood showed that 71.4 percent of those who voted Saturday said "yes" after 95.5 percent of the ballots were counted. Only about eight million of the 25 million Egyptians eligible to vote — a turnout of about 30 percent — cast their ballots. The Brotherhood has accurately predicted election results in the past by tallying results provided by its representatives at polling centers. In the first round of voting, about 56 percent said "yes" to the charter. The turnout then was about 32 percent. The results of the two rounds mean the referendum was approved by about 63 percent. Morsi's liberal and secular opposition now faces the task of trying to organize the significant portion of the population angered by what it sees as attempts by Morsi and the Brotherhood to gain a lock on political power. The main opposition group, the National Salvation Front, said it would now start rallying for elections for the lawmaking, lower house of parliament, expected early next year. "We feel more empowered because of the referendum. We proved that at least we are half of society (that) doesn't approve of all this. We will build on it," the Front's spokesman, Khaled Daoud, said. Still, he said, there was "no appetite" at the moment for further street protests. The new constitution would come into effect once official results are announced, expected in several days. When they are, Morsi is expected to call for the election of parliament's lawmaking, lower chamber no more than two months later. In a sign of disarray in Morsi's administration, his vice president and — possibly — the central bank governor resigned during Saturday's voting. Vice President Mahmoud Mekki's resignation had been expected since his post is eliminated under the new constitution. But its hasty submission even before the charter has been sealed and his own resignation statement suggested it was linked to Morsi's policies. "I have realized a while ago that the nature of politics don't suit my professional background as a judge," his resignation letter, read on state TV, said. Mekki said he had first submitted his resignation last month but events forced him to stay on. The status of Central Bank Governor Farouq el-Oqdah was murkier. State TV first reported his resignation, then soon after reported the Cabinet denied he has stepped down in a possible sign of confusion. El-Oqdah, in his post since 2003, has reportedly been seeking to step down but the administration was trying to convince him to stay on. The confusion over el-Oqdah's status comes at a time when the government is eager to show some stability in the economy as the Egyptian pound has been sliding and a much-needed $4.8 billion loan from the IMF has been postponed. Over the past month, seven of Morsi's 17 top advisers and the one Christian among his top four aides resigned. Like Mekki, they said they had never been consulted in advance on any of the president's moves, including his Nov. 22 decrees, since rescinded, that granted himself near absolute powers. The turmoil opened up a vein of bitterness that the polarizing constitution will do little to close. Morsi opponents accused him of seeking to create a new Mubarak-style autocracy. The Brotherhood accused his rivals of being former Mubarak officials trying to topple an elected president and return to power. Islamists branded opponents "infidels" and vowed they will never accept anything but "God's law" in Egypt. Both rounds of voting saw claims by the opposition and rights groups of voting violations. On Saturday, they said violations ranged from polling stations opening late to Islamists seeking to influence voters to say "yes." The official MENA news agency said at least two judges have been removed for coercing voters to cast "yes" ballots. The opposition's talk of now taking the contest to the parliamentary elections represented a shift in the conflict — an implicit gamble that the opposition can try to compete under rules that the Islamists have set. The Brotherhood's electoral machine has been one of its strongest tools since Mubarak's fall, while liberal and secular parties have been divided and failed to create a grassroots network. JERUSALEM - Israeli Prime Minister Benjamin Netanyahu on Saturday welcomed the appointment of his personal friend John Kerry as U.S. secretary of state and described him as "a known supporter of Israel's security". President Barack Obama nominated Kerry on Friday, calling the veteran U.S. senator the "perfect choice" as America's top diplomat. Netanyahu said in a statement: "I congratulate John Kerry on being chosen for the position of U.S. Secretary of State. Kerry is very experienced and is a known supporter of Israel's security." But Netanyahu may find Kerry no less critical than his predecessor of Israel's policy of settlement building in the occupied West Bank, an area Palestinians want as part of a future state. "When new settlements go up ... it undermines the viability of a two-state solution," Kerry told a Senate hearing. Kerry will be the leading Cabinet member charged with tackling pressing global challenges, including trying to restart the stalled Israeli-Palestinian peace talks and Iran's nuclear standoff with the West. Netanyahu, who has had frosty ties with Obama, also mentioned his good personal relations with Kerry in his statement. "John Kerry and I are friends for many years and I greatly appreciated the fact that half a year ago, after the death of my father, he came to visit me during my mourning. I look forward to cooperating with him," he added. SEOUL - This month's rocket launch by reclusive North Korea shows it has likely developed the technology, long suspected in the West, to fire a warhead more than 10,000 km (6,200 miles), South Korean officials said on Sunday, putting the U.S. West Coast in range. 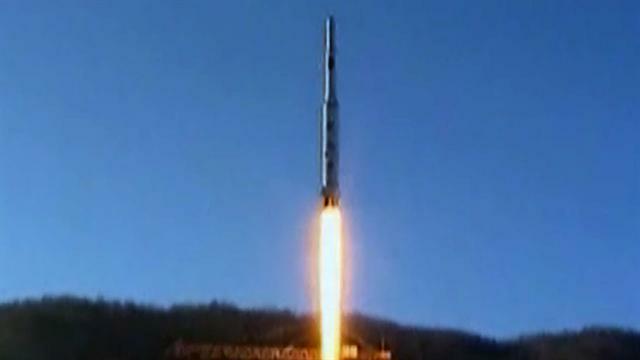 North Korea said the December 12 launch put a weather satellite in orbit but critics say it was aimed at nurturing the kind of technology needed to mount a nuclear warhead on a long-range missile. North Korea is banned from testing missile or nuclear technology under U.N. sanctions imposed after its 2006 and 2009 nuclear weapons tests and the U.N. Security Council condemned the launch. "As a result of analyzing the material of Unha-3 (North Korea's rocket), we judged North Korea had secured a range of more than 10,000 km in case the warhead is 500-600 kg," a South Korean Defense Ministry official told a news briefing. North Korea's previous missile tests ended in failure.